The Q701s deliver superb sound quality--you'll find high-end clarity across a range of music types. The construction quality is first-class, and the design is cool-looking (for most of us). 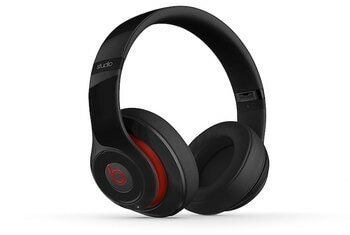 The ear cups are elastically suspended and the headband is self-adjusting. Together, these features make donning the Q701s comfy and secure. Depending on your individual preference, you might feel a bit underwhelmed by the bass performance. AKG does not provide a storage case. 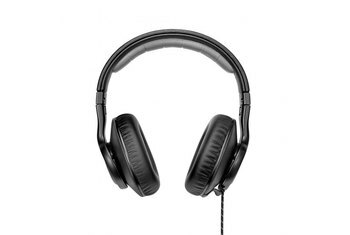 Given the Q701's size, these headphones are not suitable for portability. 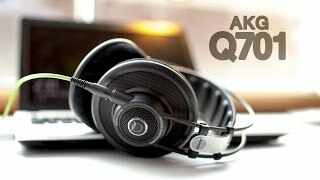 Two things stand out about the AKG Q701s. 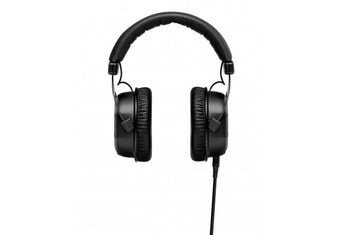 These over-the-ear cans are championed by legendary producer Quincy Jones, and they are designed and engineered by an Austrian company. 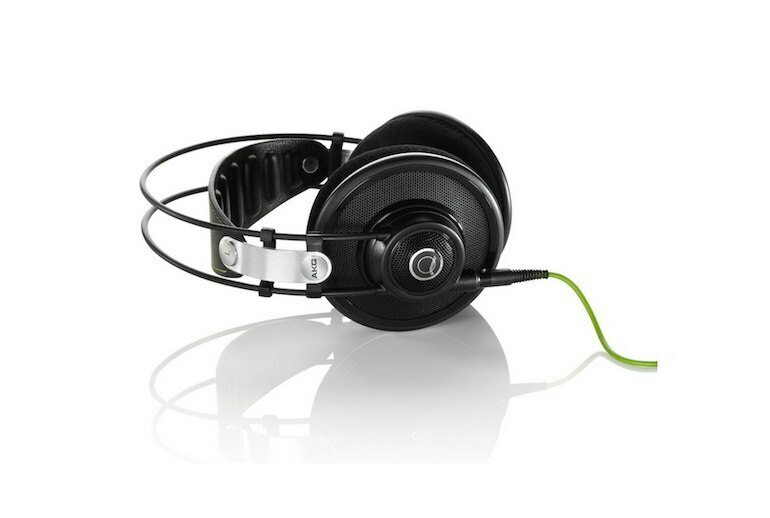 These open-back headphones are available in black, white, and lime green--and the ear cups are huge. With audio quality, you can expect an enormous soundstage and a distortion-free bass response. 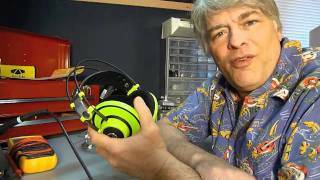 You don't have to fiddle with the headphones to size them on your head, as you do with other headphones. 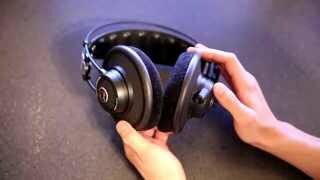 AKG's self-adjusting headband lets you slide the Q701s on your head, and it adjusts all by itself. 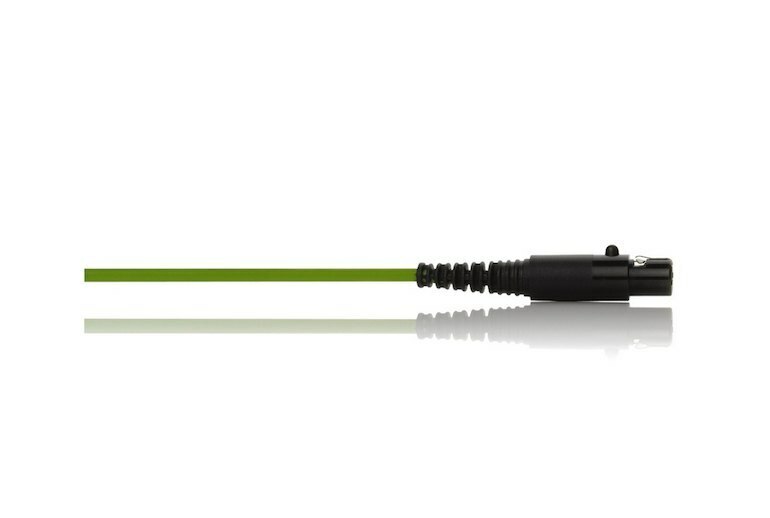 Accessories include two long cords and a screw-on 6.3 mm plug. The AKGs hardly put a foot wrong, producing a complete sound – and a balanced one, too. Play Radiohead’s Creep and bass is rooted to give guitars authority, while cymbals stay composed. [W]e just loved the tonal balance (deep bass is glorious, and quite effortless), the detail, the imaging and the general sense that real music is happening somewhere right in front of one's seat. Rhythm is great, dynamics are vast, complex textures are handled with the same unflappable calm as a solo. 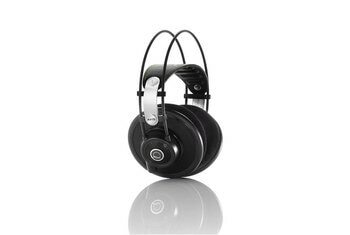 In combination with the large earcups, the 'suspended' design makes the Q701s very comfortable; we had no problem wearing them for hours on end. Q701 presents every part of the music for you to focus on. And they sound so lively and clear. [W]e were delighted by the details we could pick out in Sigur Ros' Staralfur. Closing our peepers, we almost felt we were listening to the string sections being played live in a concert hall. Even at high volumes, there was minimal distortion. Wearing the circumaural Q 701 is a little like wearing a velvety pillow over your ears. Despite the somewhat unique band adjustment system, we never felt any pressure or pinching, even after four hours of wear. In fact...we almost forgot that we were wearing headphones. The sound of these cans is very good, and I'd forgotten just how good. 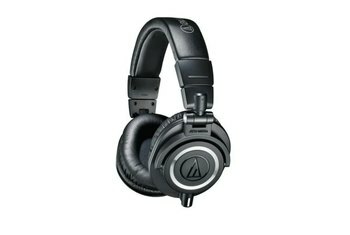 No, these are not headphones for bass lovers; though the bass is well extended, it is not emphatic in the least. If you’re prone to writing off cans that come with a household name attached, that’s a mistake: the Q701s are stone cold takers, they’re piggy bank shakers, and don’t waste their time reproducing trash. [T]hey are possibly best suited to jazz or music that requires keen control and subtlety. They are spatially excellent, offering up every ounce and sonic drop afforded by a lossless audio track, while retaining some of the lower end bass required for traditional rhythm and blues.